Ask successful women what they want from their money and they’ll tell you: independence, security, choices, a better world, and way less stress. These are a few of the many things Jean Chatzky learned while diving into her HerMoney Happy Hour discussions with women around the country. 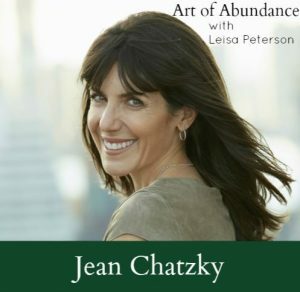 During my conversation with Jean for today’s episode, we’re exploring how talking about money and learning about your relationship with it can help you dramatically improve the quality of your life and your wealth. Underearning and how to stop patterns of being paid less than you know your work is worth. Ways to teach your kids about better money management. How women approach risk taking and the ways it can positively affect the long term value of your portfolio. Whether or not women internalize our childhood experiences with money differently than men. What women are doing with their money to affect positive changes in the world. By listening in you’ll walk away knowing why the time has never been more right for women to take control of their finances and what you can do starting today! 3. Use their money to create the lives they want. Women With Money shows readers how to wrap their hands around tactical solutions to get paid what they deserve, become inspired to start businesses, invest for tomorrow, make their money last, and then use that money to foster secure relationships, raise independent and confident children, send those kids to college, care for their aging parents, leave a legacy, and–best of all bring much joy. 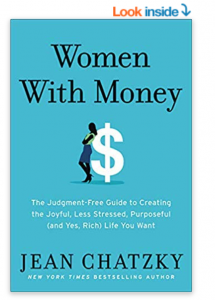 Jean Chatzky, the financial editor of NBC’s TODAY show and AARP’s personal finance ambassador, is an award-winning personal finance journalist and founder and CEO of HerMoney, a multimedia company changing the relationships women have with money — inspired by her weekly podcast, HerMoney with JeanChatzky. On Facebook you can check out HerMoney Media and the HerMoney community (closed group) where people post their money questions that we spoke about during the conversation. The post AALP 225 – Women and Money with Jean Chatzky appeared first on Wealth Clinic.